LMU Movement Exchange – Day 2! Today was such an amazing second day! The whole group woke up early for a drive through Panama to reach Portobelo to explore its beauty. Portobelo had so many breathtaking views of the water that we all took fun group photos by, as well as a rich history that was displayed through the buildings and market full of colorful accessories. While in Portobelo, we got to take a Passa Passa class, a form of Jamaican dance hall, that was energetic and rhythmic. The class was such a great learning experience and opportunity for us to embody a culture and social dance that is unfamiliar to us all. 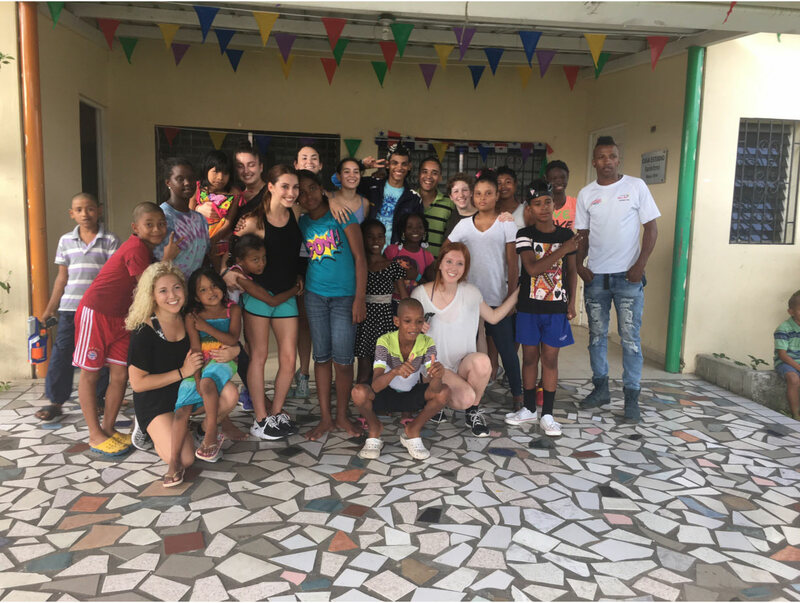 After the dance class, we traveled to the Aldea SOS Orphanage in Colon, home to girls and boys from ages 5-18. This had to be one of the most fulfilling parts of the trip so far. Our group split up to teach the age 5-11 group and the age 11-18 group each for one hour, then swapped so we could all experience teaching both of the age levels. The 5-11 age group was extremely energetic and a little hard to keep track of, as they kept running around, but thankfully we simply went with the flow and ended up having two fun classes that embodied a lot of social aspects, such as dancing in a circle to whatever animal was called out. The 11-18 age group was not as energetic, but still so much fun and very attentive, as they were taught two separate combinations and ended up breaking out of their shells and really going for it! At the end of our time at Aldea SOS Orphanage in Colon, we all joined together for a mini showcase. Both age groups performed two jazz funk/hip-hop pieces that they learned during the course of the day. It was so great to see the kids come together to dance for the love of it and just have a great time moving their bodies. After the showcase, we stuck around for a while to interact and play with the kids, who were so joyful, loving and charismatic. As we departed, we were surrounded with warm goodbyes that were saddened that we had to go to soon. After our goodbyes, we headed back to Casco Viejo for another group dinner. Over some delicious pizza, we all reflected on our day, our “apples,” the highlights, “onions,” the unexpected or not so bright part of our day, and our “shout outs,” the recognition of one of our group members for doing something outstanding drink the course of the day. As a whole, we all had a truly wonderful first day teaching, with the exception of the language barrier. Regardless of the minor, unexpected occurrences, we all acknowledged each other for going with the flow, inspiring the kids as well as each other and having an amazing time with a smile on our faces!